I was very struck by God’s choice of Mary. Not because I don’t think she was a good choice, but because she wasn’t the obvious choice. Most of us, if we are honest, would have chosen a gal more like Elizabeth: wise in experience, settled, already married. Not a teenager still living at home. But we look at this part of the Christmas story from our own time in history. Our culture, our values, our biases. God looks at it as an important part of His Story. His values, first and foremost. 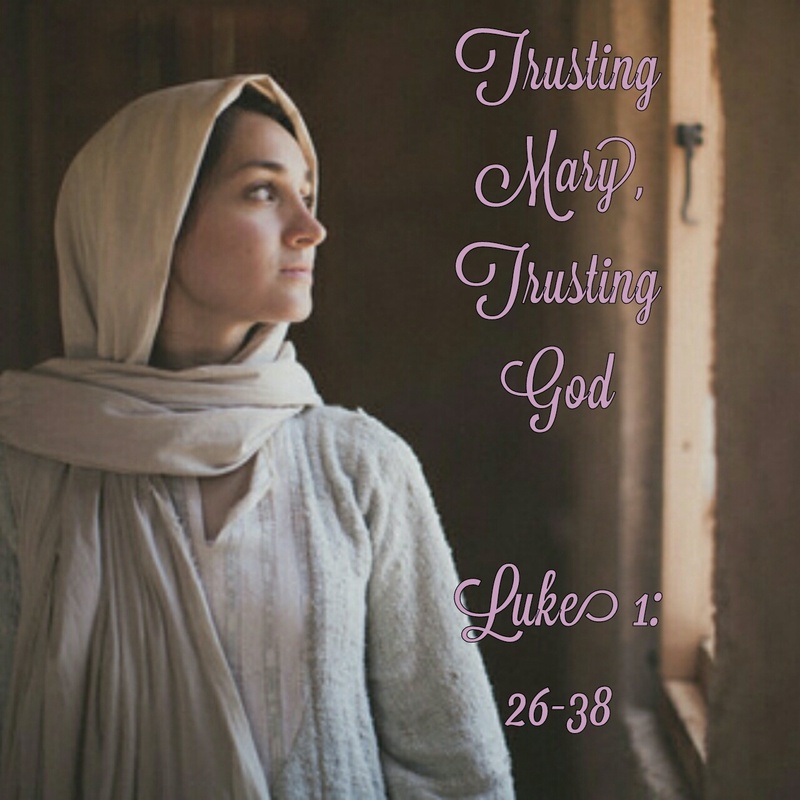 Mary had a deep faith, and likely deep dependence upon God based on her life experience and background. The Word doesn’t mention her upbringing, so it was likely a normal one. Our hope for our daughters is for them to be lovingly well suited in marriage, with a good job, and a nice place to live. God chose Mary, whom He considered His best, as the mother of His greatest gift to us. Mary must have been quaking in her sandals at the thought of the enormity of responsibility being placed on her shoulders. The Messiah was going to grow in her womb, despite her innocence. The one who will save His people. The one they have been waiting for for generations. 1) What will my parents think? 2) What will Joseph, my fiancee, think? 3) What will my community think? 4) What’s going to happen? In those days, (mostly our days too) a pregnancy is an obvious sign of bedroom activity. Which in God’s design is supposed to be reserved for the marriage bed only. Any one of Mary’s family, her fiancee or her neighbors all would have had the right to publicly accuse her as her pregnancy became evident, and the price if convicted? Stoning. Right off the bat, this baby literally just conceived is in danger. And so is His mother. Yet there is no evidence of Mary worrying written in the Christmas story. She must have had some awesome rock solid God is going to do it if He says He will and I am safe in His hands no matter what kind of faith. He has said (through Gabriel) He was with her. How she must have clung to that truth. In those days and times, when the Romans were invading the land, and the Jews were getting restless under their tight reins, God knew the timing was right for His son to be born. God chose Mary, as she was the right choice. Since He is God, after all, Mary was the perfect choice. God has a habit of choosing what the world would see as foolish to reveal more of His glory as a result. Of course He would do so in the greatest gift giving He was preparing to unveil!